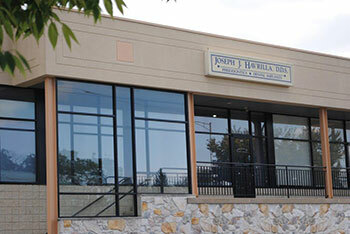 Joseph J. Havrilla, D.D.S., has maintained a full time periodontal and dental implant specialty practice in Springfield, PA since 1986. Researchers have linked this gum disease to a number of serious medical conditions such as heart disease, stroke & diabetes. Using advanced 3D imaging and digital planning, we are now able to provide our patients with implant secured teeth in a single day. We would like to take this opportunity to thank you for visiting our website and to extend a warm welcome. Our mission is to provide you with the highest quality of periodontal and dental implant care in a warm and friendly environment. Attending to your comfort and concerns is our first priority. During your initial appointment, you will be given a thorough examination. All of your options for treatment will then be fully explained. We want you to feel comfortable with your treatment before proceeding. If you have a periodontal or dental implant condition, it is very important that you receive treatment. With this in mind, we are sensitive to your financial needs and accept assignment as well as participate in a wide range of insurance plans. One of our goals is to make your care as affordable as possible. If you have questions or would like to schedule a consultation, please click here or call us at (610) 328-9608. We look forward to meeting you!